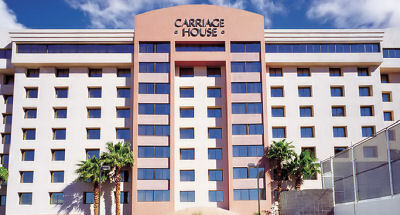 Enjoy 7 Nights in a Studio or 1 Bedroom Suite at The Carriage House in Las Vegas, Nevada! 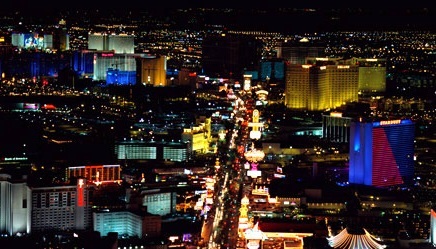 This resort is located one block off the Las Vegas Strip, between the MGM Grand and the Planet Hollywood hotels. 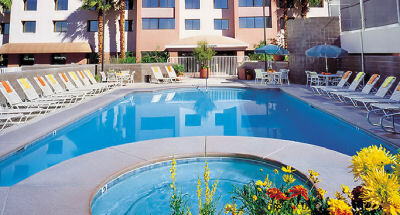 Guests enjoy an outdoor heated pool/whirlpool and a lighted tennis/basketball court. All units have a kitchenette or full kitchen, hair dryer, iron, ironing board, complimentary high-speed Internet, and an in-room safe. A complimentary fitness center and business center are available. A mini-market is located in the lobby. Nearby shopping and dining opportunities are plentiful. Your STUDIO UNIT will accommodate up to 4 people. The unit has a partial kitchen, 1 king or queen bed, and 1 double sleep sofa. Check-in Dates Available for a 7 Night Stay! 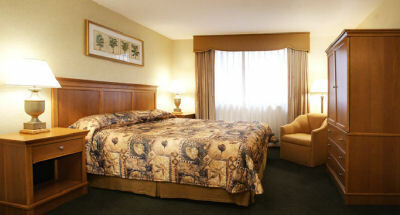 UPGRADE TO A 1 BEDROOM SUITE FOR ONLY $150 FOR THE WEEK! Your 1 BEDROOM SUITE will accommodate up to 4 people, The unit has 1 bath, 1 king bed, and 1 double sleep sofa and has a full kitchen. Centrally located just one block east of City Center on the Las Vegas Strip and minutes away from many major attractions in the Las Vegas Nevada area.